Steelers Nation came out in full force on Friday night at Stage AE for the team’s AFC Championship Game Pep Rally. The energy level was through the roof as the crowd, all clad in black and gold, waved Terrible Towels and kept the “Here We Go Steelers” chant a constant. 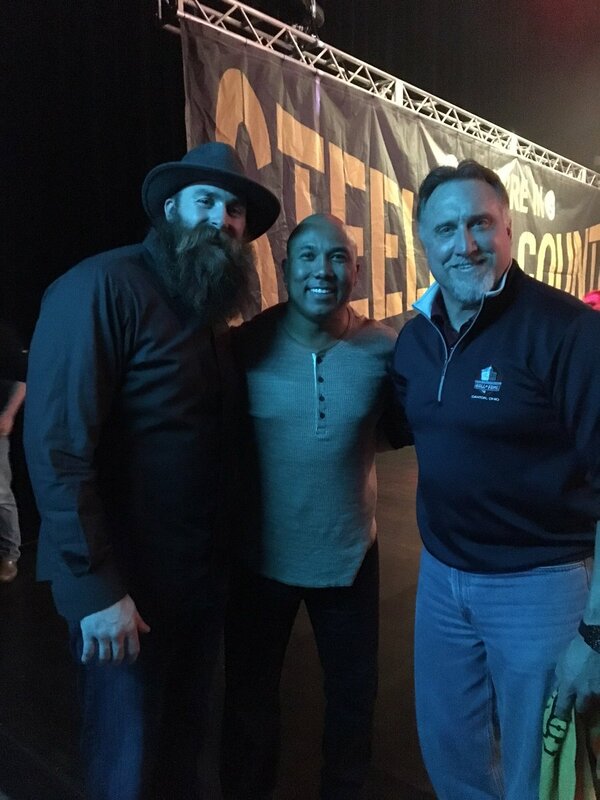 Former Steelers Charlie Batch, Kevin Greene, Chris Hoke, Brett Keisel and Hines Ward were on hand, and let’s just say their presence turned up the heat. I had the time of my life playing in front of Steelers Nation,” said Greene, who was enshrined into the Pro Football Hall of Fame in 2016. “They love football. They love Steelers football. And they love Steelers defensive football and playoff football. It was awesome to play in front of them and now to be back and be a part of the pep rally for my Steelers, it’s awesome to be standing in front of them. 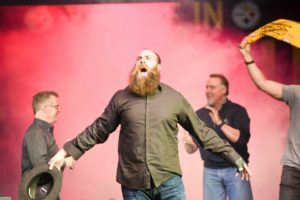 Keisel felt that same energy, and loves seeing the excitement in the City of Pittsburgh during the postseason run. 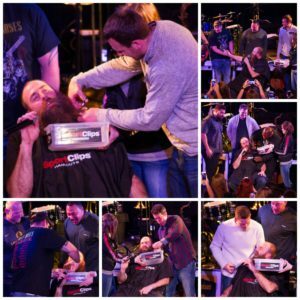 “It’s like a second Christmas for us here in Pittsburgh,” said Keisel. “It’s an exciting time. You feel it in the city. Everyone has flags flying from their cars, and signs in their houses. Everyone is talking about it on the radio shows and the television shows. It’s a great time to feel that again. It’s been a while since we have felt that. Steelers’ game day public address announcer Larry Richert and Hoke hosted the event will emcee, bringing the same energy that he does over the PA at games at Heinz Field. The Steeline drumline and DJ Steve Maffei Jr. provided entertainment throughout the evening, and no pep rally would be complete without Renegade blaring. “I feel the excitement,” said Greene. “We are peaking at the right time. I think the fans know the Steelers have gelled and are hitting on all cylinders at the right time. They are excited and I am excited. The team feels that energy. The pep rally is an awesome idea. There will be an ample supply of Terrible Towels waving in Foxboro. The fans will be there. “The fan impact is huge. They talk about Seattle having the 12th man, but I think the original 12th man is Steelers Nation.